About Behmor - "Intuitive Tools for Artisanal Coffee"
Behmor is a relatively small coffee company with big ideas, for both their products and the good their industry can do. The company produces “intuitive tools for artisanal coffee”. These aren’t coffee makers and roasters designed for quick-and-convenient; they’re made for coffee connoisseurs devoted to the perfect cup of joe. 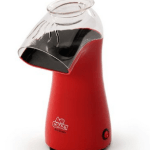 Behmor’s product line includes only two products; the Behmor Brewer and the Behmor Roaster. These two devices share some qualities; they’re both smartphone-enabled, feature sleek and modern design, and mesh well with chic kitchen design. In addition, they’re both driven by the same desire for top-quality coffee, from bean to cup. Simpler, non-connected versions of the Brewer are available at a lower price point with the same high-quality features. The Behmor Brewer is an eight-cup coffee brewer with a fully integrated, pre-programmable pre-soak cycle to mimic pour-over coffee, precise temperature control to within one degree between 190 and 210 degrees Fahrenheit, and customizable smartphone controls. The Brewer brews directly into a thermal, keep-warm carafe to allow you to enjoy your coffee over the next several hours. With smartphone controls, you can experiment with your coffee brewer to produce the best cup for your taste. Here is a video showing off the Behmor Brewer. With smartphone controls, you can order your coffee to start brewing from bed, and by the time you’re out of bed, there’s a hot, perfectly brewed cup of coffee ready. The Behmor Brewer will even update your app to let you know when your coffee is ready. The Behmor Roaster offers top-quality home roasting. 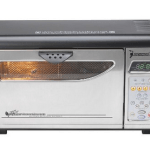 While many roasters are cumbersome in the home kitchen, the Behmor Roaster takes up about the same amount of space as a toaster oven; and even looks a bit like one sitting on your counter. 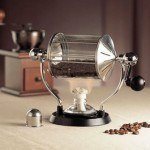 The roaster roasts up to one pound of green coffee beans, with quick start settings to produce a shorter roasting time and allow for additional roasting control. Smoke control technology makes this roaster an ideal choice for home or small business use—there’s no worry about a beeping smoke alarm! Like the Brewer, the Roaster can be fully controlled using your smartphone and the free Behmor app. As with the Brewer, smartphone controls can provide you with to-the-minute updates about your roasting experience, enabling you to adjust the temperature from moment-to-moment even if you’re not standing in the kitchen. 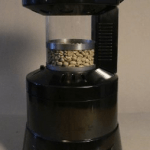 While the Behmor products provide high-quality coffee to enjoy at home, this company has a mission above and beyond just helping you to brew good coffee. They’re also working with growers to produce better coffee beans. Behmor is working on the ground with growers in Guatemala; many of these growers have never tasted the results of their own beans, without access to good-quality roasters or brewers. Behmor is working on the ground with growers and co-ops serving coffee bean farmers to provide Behmor Roasters. With access to roasters, growers can learn more about their beans, and can recognize the changes in flavor that occur with improved soil and growing conditions. 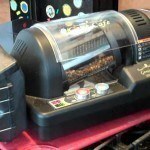 This provides growers with the ability to improve the coffee available to the consumer. Behmor is a small company with big products; they’re an ideal choice for the coffee-loving, tech-savvy consumer. Behmor’s products bring the best of brewing to your countertop, without the mess and fuss associated with pour over brewing. If you want to enjoy top-quality coffee everyday, the Behmor Roaster and Behmor Brewer can let you feel like you’ve stepped into the coffee shop of your dreams on even the dreariest Monday morning.